Bro. Josh graduated from Batesville High School in 2001 where he was very involved in Fellowship of Christian Athletes. He went on to attend and graduate from Arkansas State University in Jonesboro, AR. In 2011 he married Carrie. 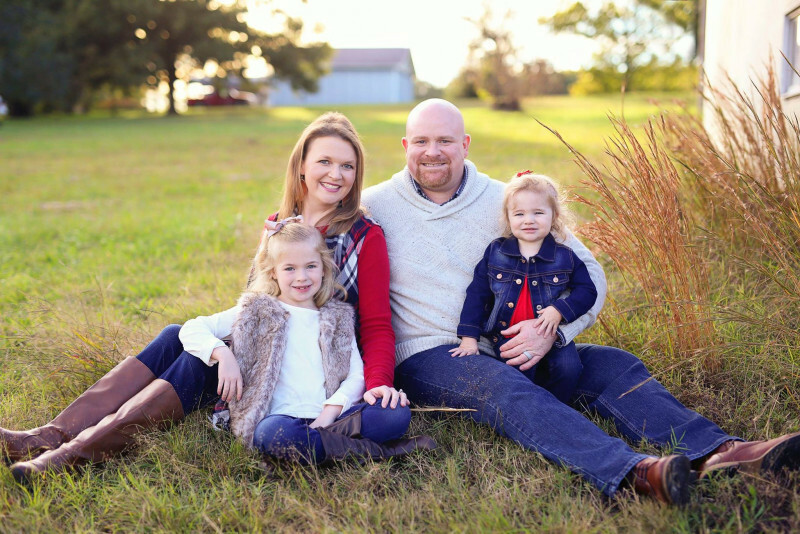 They have two daughters, Emory, their oldest was born in 2013 and Hadden was born in 2017. He has been serving at Desha FBC since 2005. Bro. Josh is currently pursuing a Master in Divinity from Mid-America Baptist Theological Seminary. "I was saved when I was seven years old. I remember one Wednesday night, our teacher taught a lesson that really got my attention. I went home that night and couldn't sleep. I knew that I was a sinner and that I need Jesus to save me. That night I prayed and asked Jesus to forgive me of my sins and to save me. I can look back and see how far I fell short now, but at the time I pretty much thought I was a good kid. God used a friend of mine, named Jon David Parker, to open my eyes to what it meant to live for Christ. After a Jr. High football game while giving me a ride to my car, Jon David called me out and challenged me to become a leader for Christ in the High School. God used this moment to get my attention and eventually call me to ministry." Our purpose is to express our love and adoration for the Lord, allowing more people to serve, and preparing hearts for worship by singing and playing instruments. Our choir extends an open invitation, without auditions, and provides opportunity for others to praise through choir membership, instrumental music and all aspects of music. Our ultimate goal is to bring salvation to lost souls, and to provide an opportunity for Christians to be a servant of the Lord through the music program.